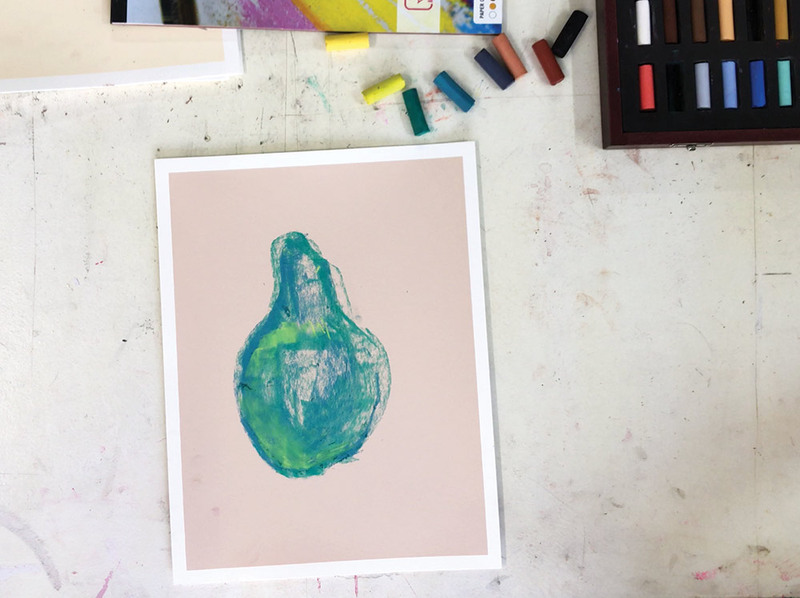 The natural qualities of pastels connect the medium with both painting and drawing. They are often avoided due to their perceived difficulty, and put into the ‘too hard’ basket by many teachers, students and artists. 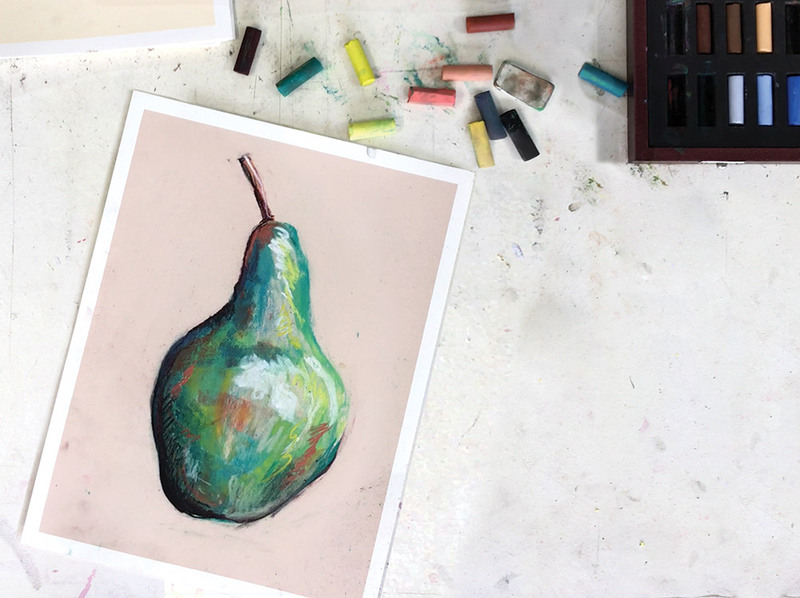 This term, we are breaking down the stigma attached to pastels, and exploring two new fine art materials in the Zart range: PanPastels and Primecolours Soft Pastels. 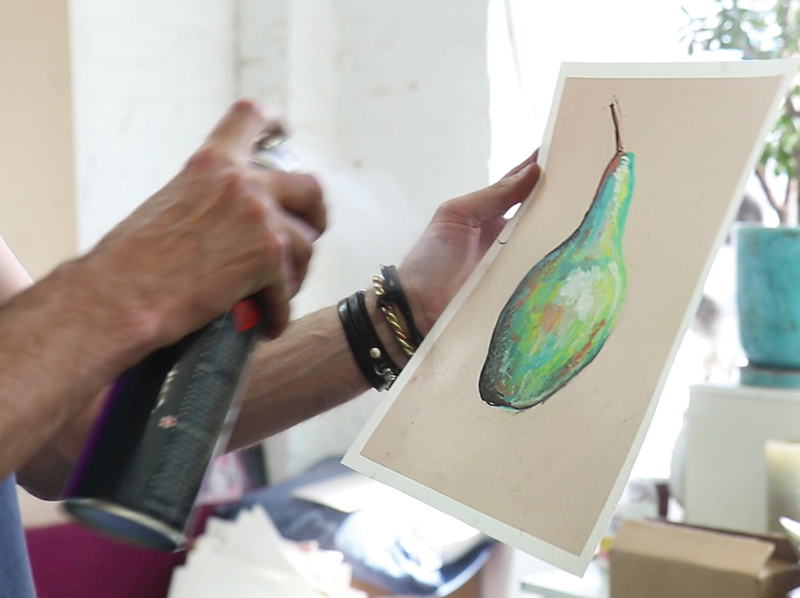 The process of using pastels can be broken down into six key areas: Surface, layering and blending, mixing colours, image construction, mark making and fixing. 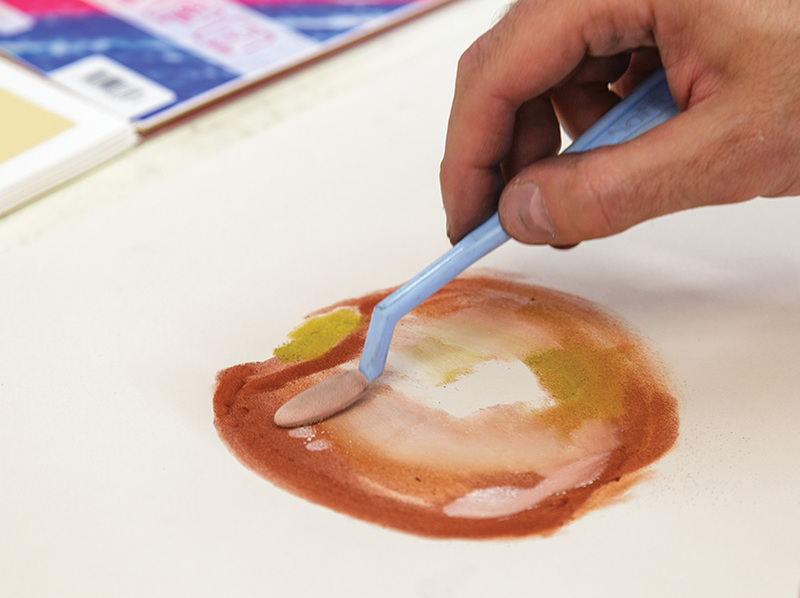 These six steps are common to both PanPastels colours and Soft Pastel sticks. Surface: A good quality paper will be the foundation to your artwork and can greatly affect the quality, technical scope and direction of the finished work. Coloured and mid tone papers have a variety of functions that can impact your drawing, these include temperature, mood and harmony in the work. 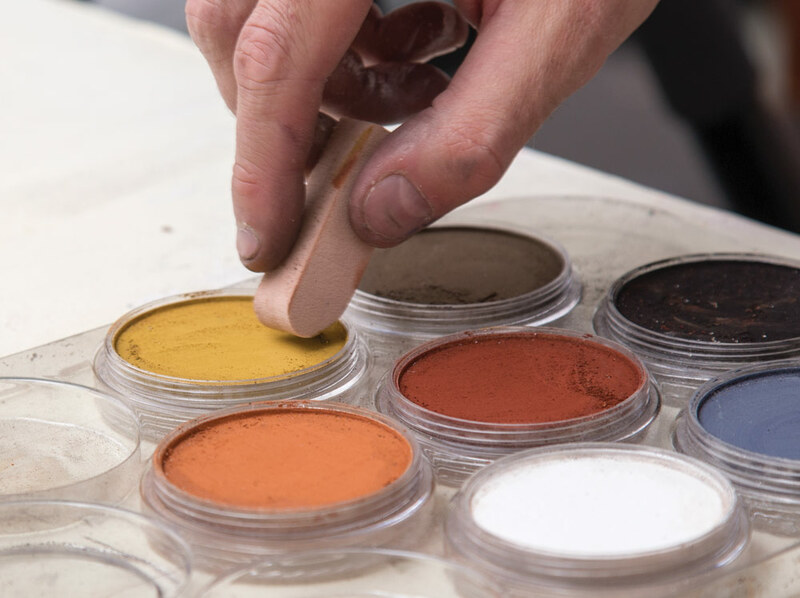 Layering Pigment: Because using pastels is so closely linked to the painting process, they can be utilised in a similar manner. Think about applying one brushstroke over another when painting; when layering colour you will naturally create complexity and depth in your work. Experiment with layering different colours on top of each other: light colours over dark, etc. Mixing and Blending Colours: Colours naturally mix and blend in the layering process. However, you may choose to blend colours directly on your surface in a much more deliberate way. Use your finger or a blending tool. Image Construction: Build up the drawing, starting loosely with large shapes and areas of colour and tone. Don’t get hung up on the detail early on. Start broadly and refine. Add detail last. Mark Making: Use a variety of mark making techniques. Use blended (smooth) and unblended (sketchy) marks to vary the effects and aesthetic qualities of the image. Consider your subject and what is required to render it in terms of texture and shape. Fixing: Use Fixative in a well ventilated location outdoors, away from others. Clear away any loose particles of pigment or eraser. Hold the can at an angle 15 – 20 cm away from the work and spray the surface in a smooth continuous horizontal manner. Extend past the edge of the drawing. Wait and apply a second coat. Apply two or three light and even coats, rather than one heavy single coat. 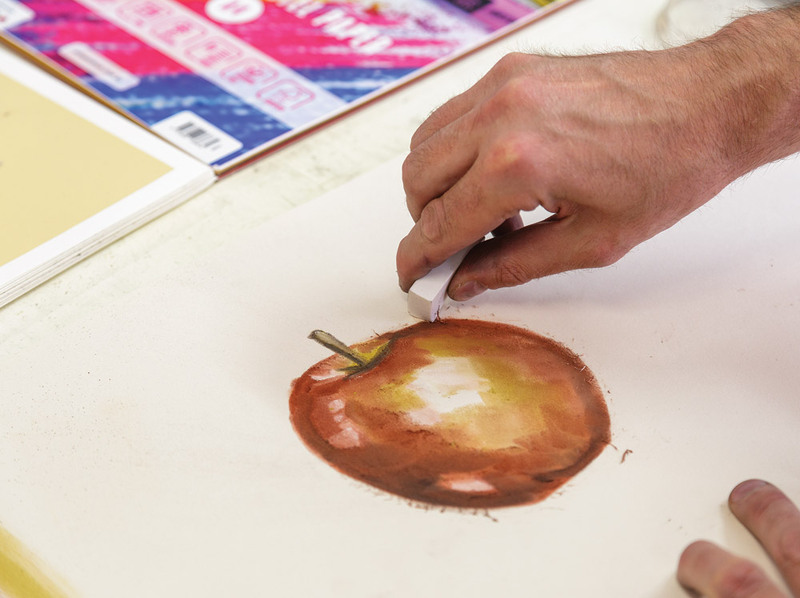 PanPastels are pastel colours packed in a pan format, providing the user with a professional artist quality, ultra-soft, highly pigmented, low dust and lightfast dry art material that can be applied like paint. They are a fantastic link between drawing and painting and provide a sophisticated and intuitive way of constructing images. Selecting Tools: The PanPastel Sketch & Tone Kit comes with seven pans of pastel and are ideal for portrait studies, figurative work and still life. Included are three Sofft sponge tools. Pastel Knife Covers: Be careful to gently fit the cover onto the pastel painting knife (like a sock) ensuring you match the right shape. 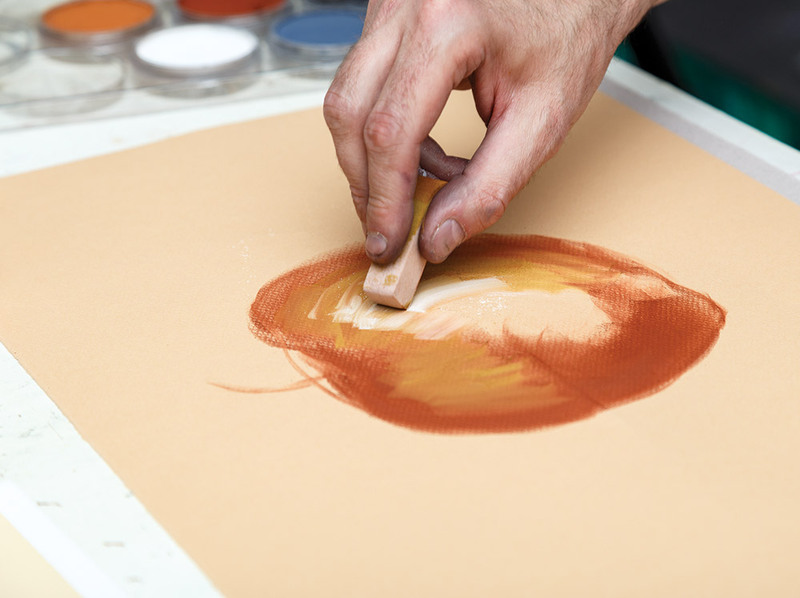 Load with Pigment: Load the sponge with pigment by wiping it across the PanPastel dish. 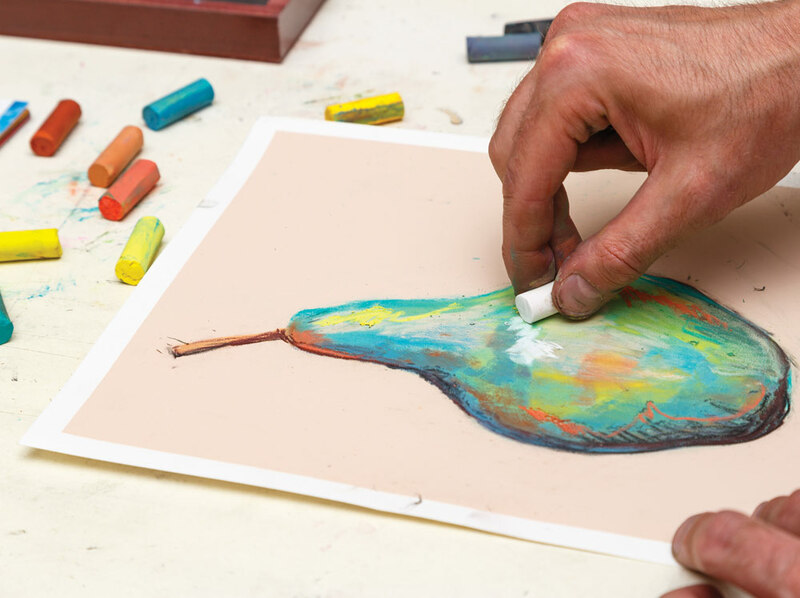 Manipulate the tools over the surface of the paper to create different effects. Apply varied pressure. Cleaning the Sponges: Gently wipe the tool horizontally on a piece of paper towel until the pigment fails to transfer onto the surface. Alternatively, sponges can be cleaned thoroughly by washing them with soap and warm water. Squeeze to remove water and leave to air dry. Erasing: Use an eraser to easily remove parts of your work to reveal the surface. Reapply pigment or change colours entirely. Use the eraser to draw back into your work and create highlights and details. 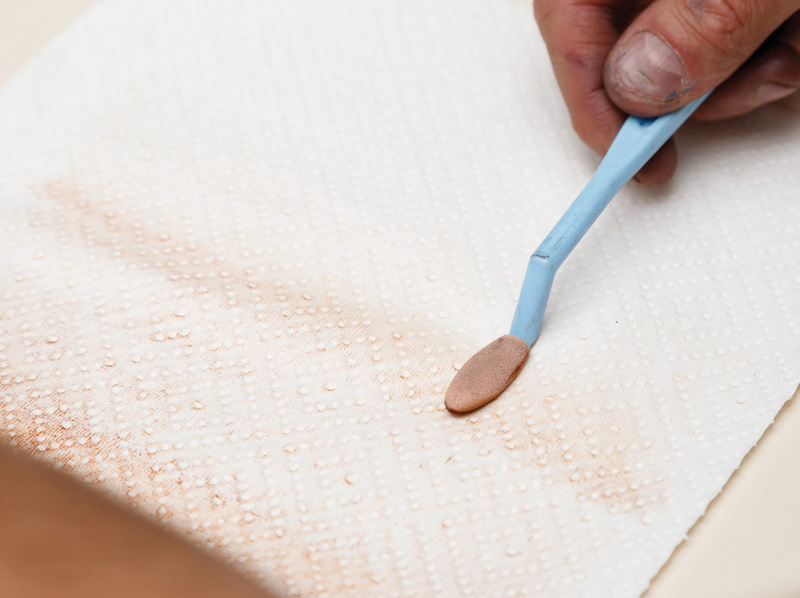 Sofft Sponges are made with semi-absorbent micropore sponge material, = ensuring they have a great holding capacity for colour and apply the pigment evenly without leaving an oily residue that may result from non-specialised sponges. There are two main kinds of Sofft tools – Sponge Bars and Knives with Covers. Each Sponge Bar has a unique shape and size, designed specifically for pastel work and allow both broad and fine strokes. Gently wipe off excess pigment onto a dry paper towel to clean the sponge or use another edge when working in different colour groups. Can be washed after use with cold water and mild detergent (no need to do this regularly). Knives & Covers – Transform Knives into absorbent tools, capable of carrying and releasing colour in a unique way.The shapes of the tools are designed specifically for pastel work and allow both broad and fine strokes. Simply match up the correct Knife and Cover based on shape. For long-lasting results, use the tools in a horizontal direction, rather than working towards yourself. Each Cover can be used with multiple colours and re-used several times. Gently wipe off excess pigment onto a dry paper towel to clean the sponge or flip it over when working in different colour groups. Can be washed after use with cold water and mild detergent (no need to do this regularly).